Watching a segment of The Daily Show with John Stewart, it suddenly occurred to me that a classic persuasive tactic was being exploited. The segment featured Republican Senator James Inhofe’s (R-OK) attempt to nullify decades of research supporting man-made climate change, by presenting as evidence, a snowball from a recent Washington D.C. snow–freshly molded right from the Capitol steps and brought to the house floor. Now, you’ve got to at least hope that the Senator, a man with some considerable position and degree of influence as chairman of the Senate’s Environment and Public Works committee, is not jumping to the aforementioned incongruent conclusion out of ignorance, but that he is merely taking advantage of how these neat little falsely juxtaposed factoids sound to those who are, shall we say, less reasonable in their cognitive reasoning facilities–a “least reasonable man”, if you will. 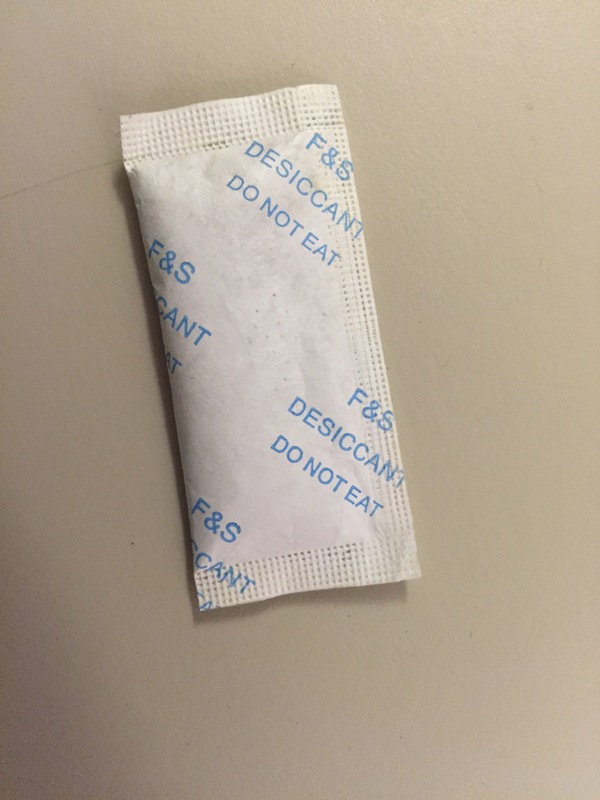 Examples currently in use on products are the “Do Not Ingest”warnings listed on the silicon packets placed in product packaging to absorb moisture that might otherwise damage the product during shipping or during it’s shelf life. The primary use of these types of warnings is likely the protection of manufacturers against litigation resulting from improper use of their products, with general public safety coming in at a close second–at least from the perspective of he most affected by “the bottom line”. Now days, it seems warnings like these are conspicuously absent where Joe Citizen’s easy access to and voracious ingestion of punditry and partisan politics is concerned. Where “least reasonable man” is the “low-hanging fruit” waiting to be picked (read persuaded) and collected in the fruit baskets of loyal constituency, re-election and lobbyist sponsored political sway. Political Satire has likely been around since the first politician first spoke out of the side of his neck. But recently, a new, more potent brand of satire has hit the shelves. News-satire offerings like the now defunct Colbert Report, the soon to be re-imagined The Daily Show, and long running shows like Real Time with Bill Maher have stepped in between these actors and acted as a rather efficient poop filter in the cloudy fish tank that is American politics. • The matchings of chairmen to committees is suspect; chairpersons seem to have fundamental opposition to the very programs and agencies affected by the decisions of their committees. For example, in the case of Sen. Inhofe(R-OK)–a denier of the science supporting man-made climate change heading a committee on Environment and Pubic Works–who’s also been known to site the Bible in his rebuttal of said science. Coincidence? One could argue that it would be suspect for the head of a committee to be biased even in favor of their committees charge, but these polarities being what they are(you wouldn’t likely find a moderate with enough experience in the committees charge-again, not that experience is the pre-requisite), one would expect that regardless of one’s position, one could muster measured reason and set aside whatever internal bias for the sake of the greater good. But maybe that’s asking too much of a politician. Which begs the question, why do we keep electing them. Cognitive dissonance begets more cognitive dissonance, I guess. Now granted, the first two of the above factoids are your basic government 101 fare, but the bottom two, not so much. They virtually beg you to question why and how the process works that way. So, traditional media, having dropped the ball with it’s obsession with celebrity and other fluff, punditry and opinion, it’s newly adopted knee-jerk style of “report first, fact-check later” and the false memory of its anchorage, has as it’s counter, programs like The Daily Show to fill the void of protecting “least reasonable man” from himself and the public at large from his inability to reason independently…or at all.